Originally published by Indy Bay. 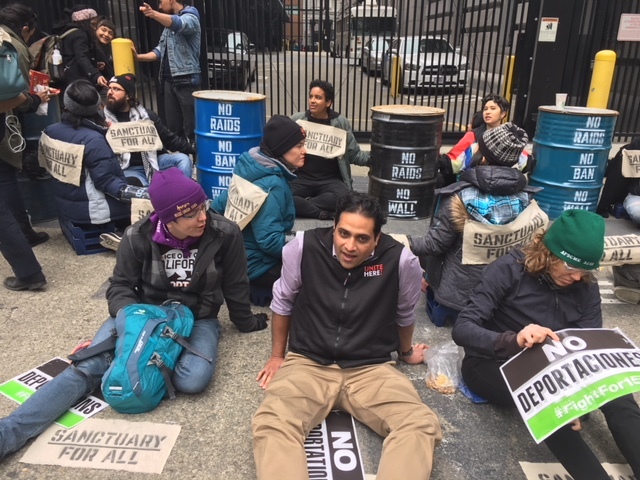 Hundreds of youth, immigrant rights activists and unionists shut down San Francisco ICE office for the day on February 28, 2018. Blocking the gates and the street they marched around the block during the day. Union leaders AFSCME Local 3299 president Kathryn Lybarger who is also president of the California AFL-CIO, Unite HERE Local 2 president Anand Singhand and SEIU USWW Political Coordinator Northern California Jane Martin joined the action and urged their fellow workers to mobilize to shutdown ICE.